The town of Castiglion Fibocchi expands on the latest branches of Pratomagno which slope towards the plain of Arezzo, along the ancient Cassia Vetus. The territory, already inhabited in the late Republican Era (1st century BC), around the year 1000 was a castle of the Conti Guidi guarding the road that connected the Valdarno to the Casentino Valleys. In 1835, with the victory of Firenze also Arezzo fell under the rule of the Republic of Firenze. Worth to visit the Town Hall, the Church of Saints Pietro and Ilario, the Church of San Giovanni Battista situated in Gello Biscardo and the Pieve of San Quirico in Alfiano, which remains of early Christian origin, are incorporated in the ruins of the ancient farmhouse San Pié Chierco. During the Carnival the village comes alive with the important event of the “Carnevale dei Figli di Re Bocco”, with its two hundred colorful masks and costumes, ranging to embed as many gems from the multiple colors in the streets, alleys and squares of the ancient village. 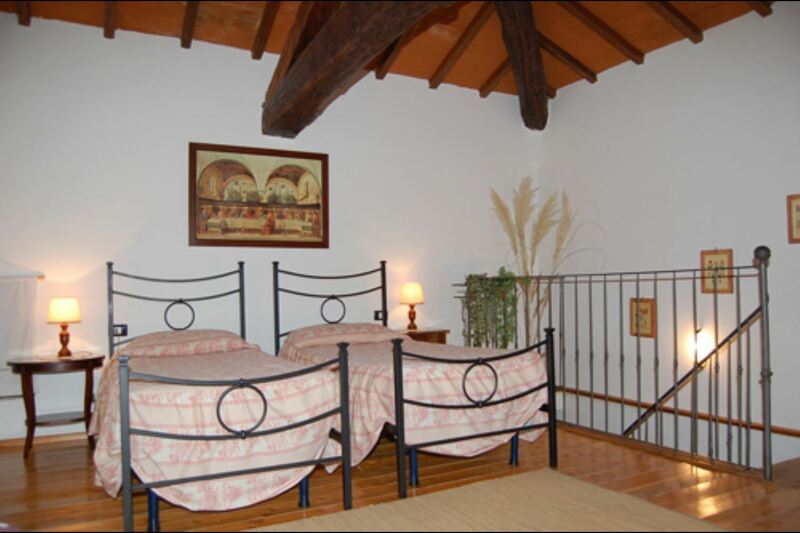 Apartment on two floors in farmhouse with swimming pool and outdoor space equipped for dining out. Free Wi-Fi. Pets welcome. Panoramic position near San Giustino Valdarno. 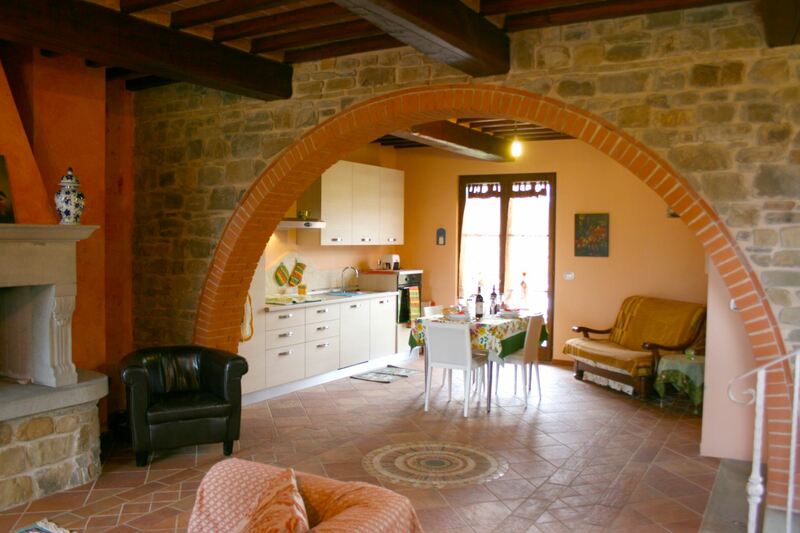 Ground floor apartment in farm with pool and garden equipped to eat outside, free Wi-Fi. Pets welcome. 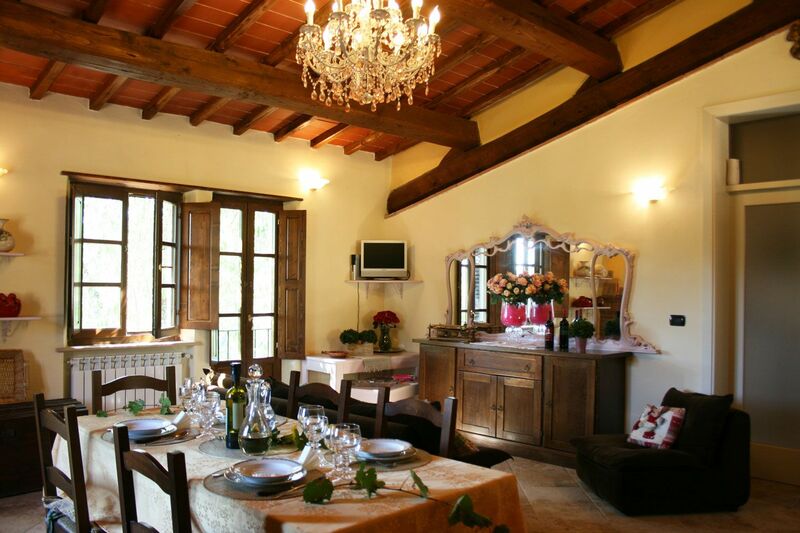 Panoramic Villa with private fenced pool for 20 people between Arezzo 25 km and Florence 60 km. Pets are welcome and Wi-Fi available. The village of San Giustino Valdarno is located at 7 Km.